The Dual Carry II for Glock 26, 27, 33 Holster allows for both inside and outside the waistband by implementing a belt loop for OWB carry. The Dual Carry II features a tuckable 360 degree C clip for positioning adjustment. This carry is made of soft, non-molded leather with a thumb break and an integral belt loop. 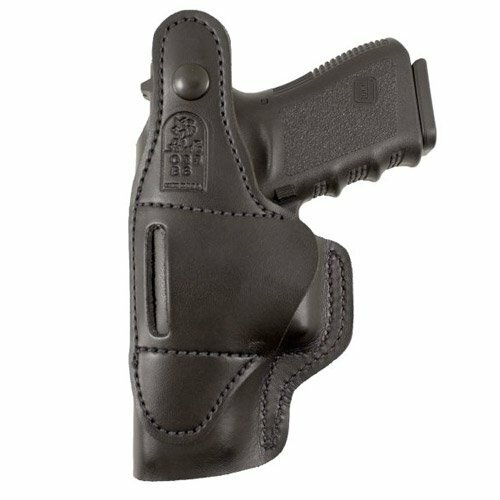 An optional J clip is also available with the holster. If you have any questions about this product by DRD, contact us by completing and submitting the form below. If you are looking for a specif part number, please include it with your message.